Gift Uber rides to the people you care about, or add value to your Uber account. By using this gift card, you accept the following terms and conditions: This card is redeemable via the Uber®️ app within the U.S. in cities where Uber is available. The card is non-reloadable and, except where required by law, cannot be redeemed for cash, refunded, or returned. 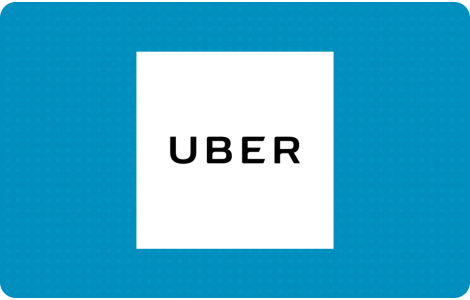 You may be required to add a secondary payment method to use this gift card with the Uber app. The card is not redeemable outside the U.S. Issuer is not responsible for lost or stolen cards, or unauthorized use. Depending on the state of purchase, this card is issued by Bancorp Card Services, Inc. or The Bancorp Bank. For full terms and conditions and customer service, visit uber.com/legal/gift.